Reading D K Mok’s excellent campus / desert science fiction novel The Other Tree was a delirious fun-ride, bouncing between the modes of Dan Brown (but so much more intelligent and far less pompous), Terry Pratchett (she’s got his stomach-kicking drop from high farce to serious drama just right), Indiana Jones (I haven’t read so much well-constructed archaeological fantasy since seeing Raiders of the Lost Ark), and Barbara Kingsolver. Well. That last one brought the fantasy readers soberly to a stop. But it’s true: there is so much botany and hard-core biology in this rollicking novel, it’s like seeing Poison Ivy working for UNESCO with the earnestness of Prodigal Summer. You will have to suspend some disbelief while reading this novel. It’s a quest and chase adventure (just a little bit Thirty-Nine Steps-ish in its construction), a moral drama and a delightfully irreverent snoot-cocker at the portentious airport thriller. Chris is a cryptobotanist with a PhD and a distinction in herbology *, working in a resourceless university as a library assistant. She’s waiting for research grants that never come, so when she really needs to find a cure for her father’s terminal illness, she goes on a mission. She has not one but two secretive, lethal and very expensively outfitted groups chasing after her in equipment that they must have pinched from SHIELD, and her doughty companion is a small, nervous campus chaplain. Luke has the theological training she needs, so his lack of muscle is irrelevant: they’re on an archaeological conservation quest, to find the other tree mentioned in the Book of Genesis. Not the Knowledge one, but the Tree of Life. There are many jokes in this novel, but they’re stealth bombs, beautifully positioned to relieve tension, and to acknowledge (wide-eyed and innocent) the deliberate use of genre cliché. Even in the heavy-breathing, blood-drenched moments of combat there’s a pun or a sarcastic remark lurking quietly to take your breath away just as the characters are getting theirs back. But these aren’t the dark, rasping, out-of-the-side­-of-your-mouth quips of deep cynicism that we might associate with a terribly macho kind of cyberpunk, all dark shades and tailored rags. These are jokes to laugh out loud at, and to be glad about, a bubbling undercurrent of joyousness in how silly it is that some people get heavy and serious about such unimportant things like money, or success. Life is the important thing here. Chris is looking for a way to give life to others, and plenty of people lose their lives because one of the people chasing her really, REALLY wants that immortality. I love the inventiveness in this novel: there are explosions of creative genius in so many of the tiny details and background décor. How would you make use of the undeniable fact that plants are destructive by nature? A cryptobiologist knows how to speed ‘em up. I cackled at Mok’s sense of humour – a cellarful of toads in your museum? Let me fix that for you with a crateful of ravens. I really enjoyed the sense that this novel is written by an escapee from academia who’s letting in the light on nasty institutional practices, while dusting off the joy in teaching and discovery that keeps us all hanging in there, waiting for the money to do our work. And I love the dark efficiency and monstrous intentions of the villains who hurtle after Chris and Luke. Her writing touch is light and deft. Nothing is laid on too heavily, no trowels are employed to render the theological implications of the things they find and places they go to, following clues from an Italian basilica to a Romanian castle to the Australian outback to a desert in the Middle East. (I did say it was like Dan Brown.) There are scenes of marvellous beauty and great unhappiness and waste. It seems astonishing that this is her first novel, but she’s been practicing on short stories for some time. Her second novel arrives next year: read this one now. D K Mok can be read about at her website. Spence City can be read about here. Kate really needed to read something as fun as this to get through the exam marking season. Otherwise she podcasts about books that she really likes on http://www.reallylikethisbook.com. This sounds fun! Thanks for reviewing. I went through a period of literary overdosing on this particular genre of books – and learned fascinating bits about all types of historical people, groups and items, and my brain learned to accept that archeologists, botanists, religious and other tyes of academic figures, as well as the odd sailor or scuba diver, could somehow manage to keep one step ahead of hordes of fit, determined military or security persecutors of the human killing machine variety. I’m not sure I could actually bring myself to read another one – a bit like having one drink, or cream cake, too many. 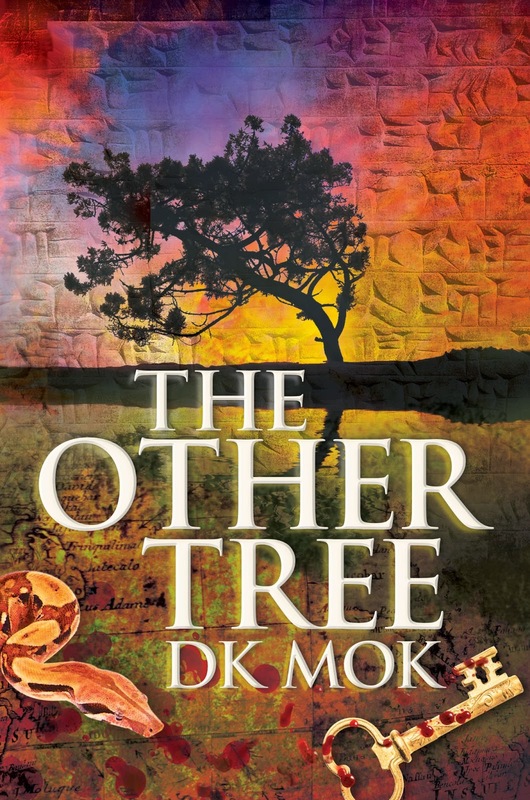 Having said that, it does seem from your lovely and enthusiastic description, Kate, that DK Mok has written an excellent book of this type, and that it will be a fascinating and exciting read for those people who love this category of fiction. And lovely, too, that there is some well placed humour along the way. 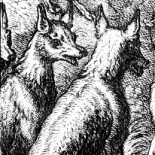 And lots of interesting little facts to learn along the way too with regard to fields of study you may never have considered before. This book sounds really good, plus the reader would learn all sorts of arcane facts, too.But the violence you mention worries me. Is there a lot of “blood drenched” parts in it? Can I see them coming & know when to start skipping? Even if it’s not suitable for a wimp, I hope the author’s work gets lots of attention, it sounds as if she is very talented. Jackie, sometimes in the novel people do get attacked with sharp and heavy objects at different speeds, so blood does seep out. But blood isn’t spilt to shock or surprise the reader, it comes out as a natural consequence of nasty people doing what they ought not to. I reckon you can skip the reddish bits, they’re well signposted. This entry was posted on July 7, 2014 by Kate in Entries by Kate, Fiction: 21st Century, Fiction: dystopian, Fiction: fantasy, Fiction: humour, Fiction: science fiction, Fiction: thriller and tagged archaeology, Barbara Kingsolver, Dan Brown, indiana Jones, Terry Pratchett.